The Community of St Mary the Virgin (CSMV), Wantage are looking forward to welcoming the staff of the Vale Academy Trust (VAT) to a new office base on their Convent site on Denchworth Road later this summer. The VAT’s growing central team currently supports and works with seven schools in the multi academy trust. It has been based at King Alfred’s Academy since its inception in 2013. 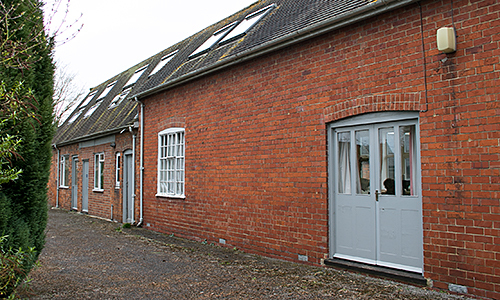 But from later this summer its new headquarters will be the newly refurbished studio building at St Mary’s Convent. The move further cements the VAT’s partnership with the Oxford Diocesan Board of Education and other local stakeholders. The studio building used to house a printing press run by the Sisters. More recently a Church embroidery group has used the space. This group will move its work into the main convent building. A planning application for the conversion has been made and it is hoped that the Vale Academy Trust’s staff will move into their new base in the summer. This is the latest in a series of developments for the Community at St Mary’s. Last year the Sisters took the decision to stay at the Convent. The arrival of the VAT’s central team is an important aspect of the Community of St Mary’s continuing commitment to Wantage.